As Sony expands their full frame mirrorless lineup, the system as a whole becomes more complete, and one of the key pieces of that more encompassing lineup is the first native ultra-wide-angle lens. 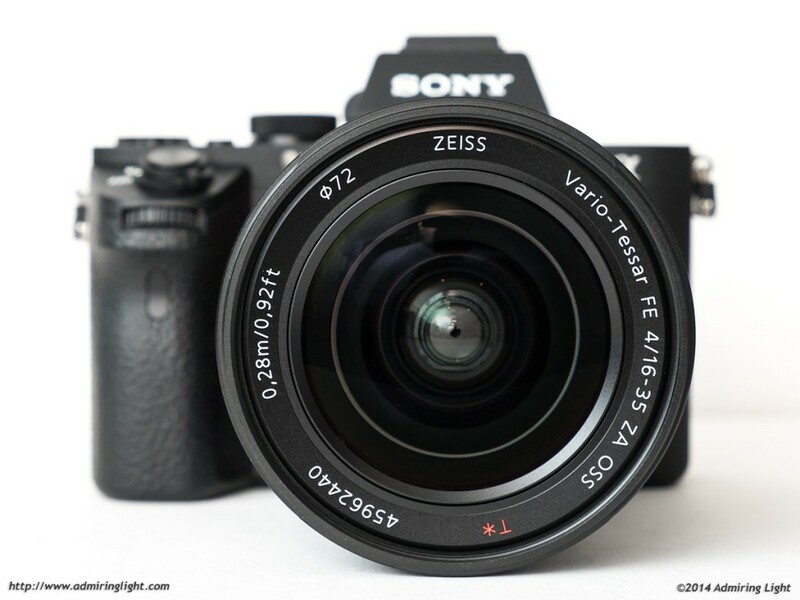 In this case, it’s the Carl Zeiss 16-35mm f/4 OSS, which covers a great range in a pro-grade lens for Sony’s E-Mount. The 16-35mm f/4 covers a wide focal range from ultra-wide angle to moderate wide angle, and features an optical stabilizer to aid in hand-holding. The lens isn’t cheap at $1348 US, but promises outstanding optical quality and a top-notch build. In this 16-35mm review, we’ll see whether the Zeiss name holds up to its reputation for optical excellence. The Zeiss 16-35mm f/4 OSS is a full-frame ultra-wide angle zoom lens with optical stabilization, and as such, it’s not exactly a petite lens. In fact, there is essentially zero size and weight savings when compared to full frame DSLR ultra-wide zoom lenses. It’s also a rather dense lens, with a solid heft that oozes quality. 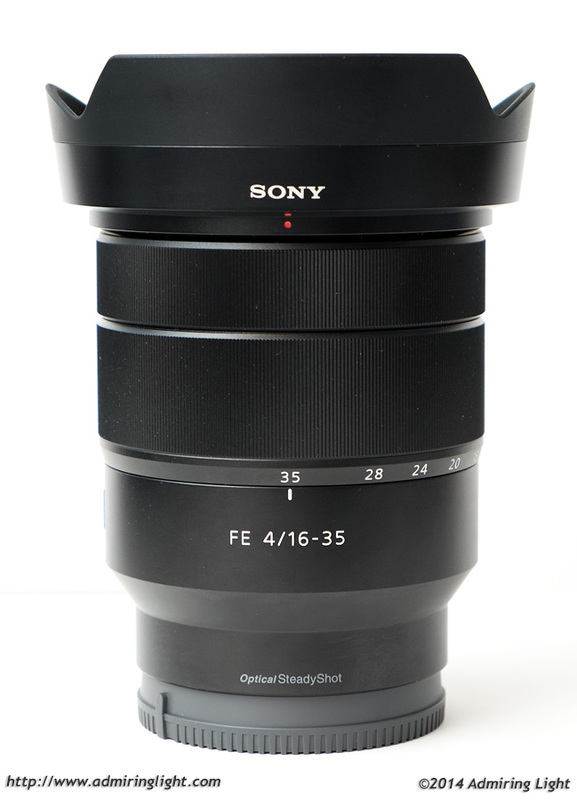 The lens barrel and external design is entirely constructed of metal (likely aluminum) and is finished with the Sony/Zeiss satin black finish. Construction quality is top-notch, with absolutely no creaks or flex anywhere in the lens body. The broad finely ribbed zoom ring is beautifully damped and has a smooth solid action when zooming. The focus ring is also wonderfully damped and silky smooth. The lens is also sealed against dust and moisture, and the overall package is definitely impressive. The lens handles quite well on the new A7 II, which was the body used for testing the 16-35mm. While the lens and body together are a somewhat hefty package to carry, the balance is right and the excellent feel of the lens contributes to an assurance of quality. The only down side is that the lens does not stay constant in length. The lens extends about an inch during zooming and is longest at the 16mm wide-angle focal length. However, this is a minor point. The 16-35mm f/4 OSS comes with a reversible petal shaped hood that is well constructed, but extremely short, providing rather limited coverage for the front element. I have to imagine there was more room to shade the lens given the other lenses with similar fields of view that have more substantial lens hoods. The 16-35mm f/4 features a fast and silent autofocus motor that acquires focus very quickly and very accurately. I had no issues at all with the focus performance of the lens, even grabbing focus surely in lower light situations. The lens features optical stabilization, and as I tested the lens on the A7 II, it was tested in conjunction with that body’s new in-body stabilization system, with the lens utilizing its optical sensors and element shifts, with the body picking up the other three axes of movement. While stabilization was decent, it fell short of the best stabilizers I’ve used, even among ultra-wide zoom lenses. I generally found the stabilizer was good for around two extra stops of handholdability, with around 1/5s generally yielding sharp shots at 16mm and around 1/10s for shots at 35mm. This is still rather handy, but nothing exceptional. Well the same Nikon is 680g and this one 518g. There are certainly heavier lenses, but this is roughly the same size as a DSLR UWA. The Canon 17-40 f/4L is 475g and the 16-35 f/4L IS is 615g, putting the Sony in the middle of those. The point is, this is not a ‘small and light’ combo. 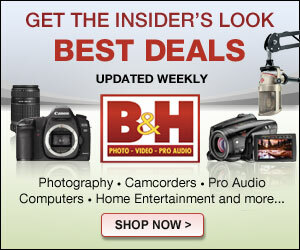 It’s an awesome combo, but you should be buying for the capabilities not for some magical size reduction from your SLR. Still an awesome lens. If I pick up an A7II for myself (which I very well may do here soon), it’ll be mainly used as a digital FD body for me…I have a lot of FD glass that works fantastic on that sensor, and the lenses are small and very good (and cheap!). But the 16-35mm would very likely be the first FE lens I would buy for the kit. So it seems to me that weight is a perfectly good reason to go with the Sony FE system. I bought the 16-35 for the 16mm end, having missed the 15mm Heliar from my (film) Leica days and finding the old analogue Olympus 21mm too wide on my A7. I have the Zeiss 35mm 2,8 but I now only use it because it is small and handy. The picture quality of the zoom at 35mm is on par with the 35mm fixed. One has a one-stop larger aperture and is smaller, lighter and is less expensive; the other has optical stabilisation and zoom. Six of one and half-a-dozen of the other. If only one of them, the the zoom. At least for me. How would this lens do on a A6000? How would it compare to the 16-70? Your comment would be greatly appreciated…..
It’s a lens that I think is a bit wasted on APS-C. First of all, its rather large, and you don’t really gain anything except probably a bit better corner performance at the wide end. The 16-35mm is great at the wide end and very good at the long end, but the long end sits where the 16-70 is also very good, and so I think the optical improvements are going to be pretty marginal. Factor in the much larger size and the extra cost and reduced range and I’d lean to the 16-70 every time. 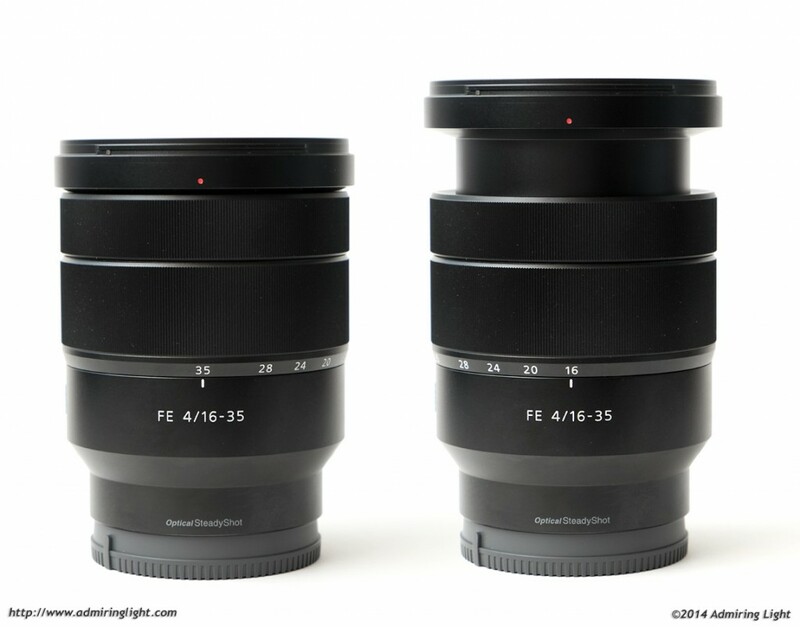 That said, if you shoot with both FF and APS-C e-mount lenses, the 16-35 could be sort of a ‘double duty’ lens in that case. Hey Jordan…I just read this review and really appreciate your opinion on this lens. When Sony announced the A7r II recently I decided to sell my Fuji gear and switch to Sony. I felt the A7r II is a camera that Sony is making a statement with and it shows how serious they are about the evolution of the A7 line and how well they are listening to customers. I’m not getting the new A7r yet, but I bought a used older version at a good price and plan to now start buying a couple of lenses. The first is the 55mm f/1.8, which I recently bought used and is on the way, and the second lens that appealed to me was this 16-35mm f/4…a focal range that could cover 80-90% of what I like to shoot. Your positive review has helped push me over the edge (in a good way) and I plan to buy this lens before leaving for a week in northern Nova Scotia next week. It was hard parting with my Fuji gear, it never did me wrong, and it did so much right…but I missed the FF look that I had with my D800e a couple of years ago and this Sony (I expect) will provide similar benefits from the Fuji while giving me all the beautiful detail found in the FF files. Thanks again. Pingback: ???????FE??????F4???????? ?Vario-Tessar T* FE 16-35mm F4 ZA OSS? | ???????????? ?